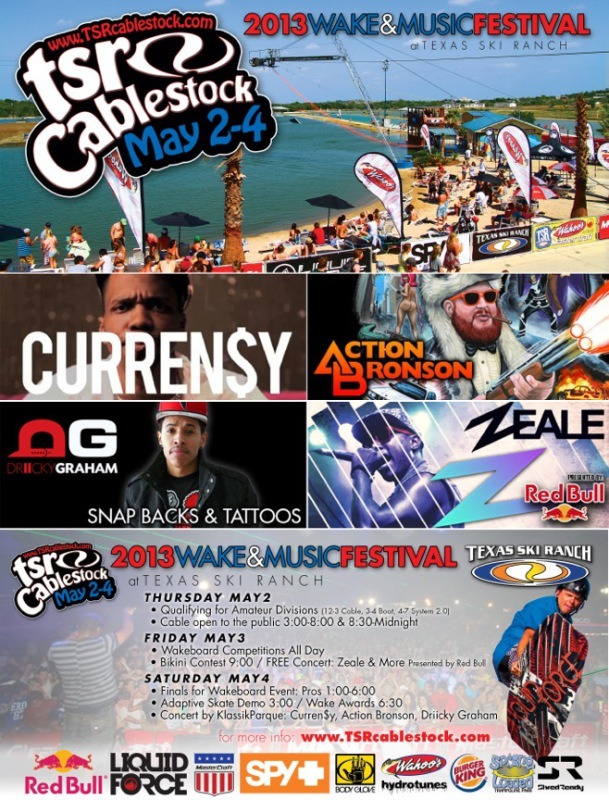 Celebrate the start of summer with live music, sun and world-class wakeboarding at the largest beach party in Central Texas, May 2nd – 4th. NEW BRAUNFELS, Texas (April 11, 2013) Texas Ski Ranch prepares to kick off the eleventh anniversary of central Texas’ largest beach party and tribute to summer, Cablestock 2013! Live music, world-class wakeboarding, bikini contests, DJ’s and more promise to make this years’ celebration one you won’t want to miss. Saturday Night Klassic Parque Entertainment presents: Curren$y, Action Bronson, Driiky Graham & More. Tickets can be purchased for Saturday’s show at http://cablestock.eventbrite.com. For more information contact catie@texasskiranch.com or call the Texas Ski Ranch at 830.627.2843. 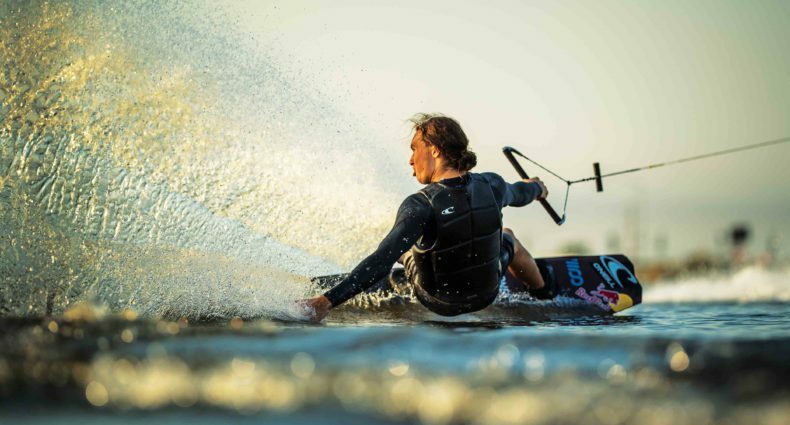 TSR would like to thank our partners making 2013 Cablestock possible: Liquid Force, MasterCraft, Red Bull, Spy, Body Glove, Shred Ready, Burger King, Hydrotunes & Wahoo’s. Cablestock 2013 is hosted by Texas Ski Ranch.